Ninety seven years ago today, Aug. 11, 1919, Germany adopted a constitution hammered out in the city of Weimar, creating a representative democracy for the country. The new government for the next 14 years would be unofficially known as The Weimar Republic. The Weimar Republic era wasn't an easy time for Germany, which faced hyper-inflation, crushing debt, depression and and the rise of National Socialism. It was the age of the cabaret in which art, theater, music and cinema thrived. In honor of the Weimar constitution, here are a few samples of popular German music of that era. Here's Harry Jackson's Tanz Orchestra. I'm not sure why the YouTube poster called it "Gay Jazz." 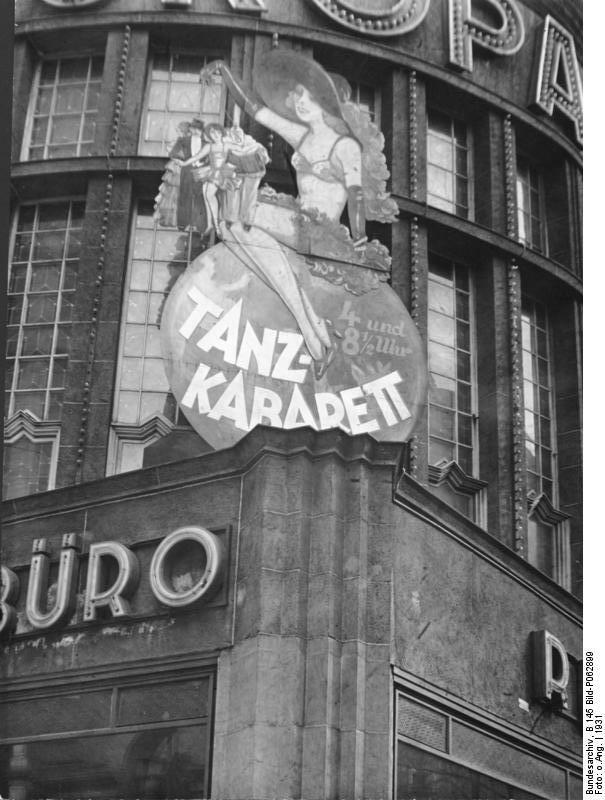 But whether or not Jackson himself was gay, Weimar-era cabaret culture was quite progressive in accepting gays and lesbians. Adolf Ginsburg's Orchestra performs "I Found a Million Dollar Baby"
Finally here is Lotte Lenya singing "Seeräuber Jenny" in the film version of The Three Penny Opera. Her husband was Kurt Weill, who composed the music for the play. 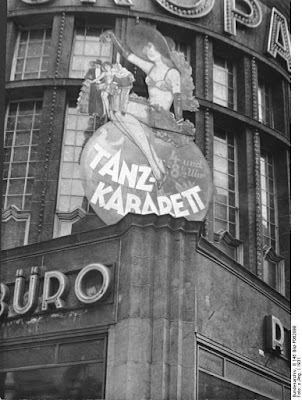 Lenya was in the original 1928 Berlin stage production of the play.